Playability, Consistency, Tranquility – Ebotse Links. Previously the average golfer may have been rather intimidated by some of the challenging holes found at Ebotse Links. The good news is that Peter Matkovich agreed with you and the result is that we have made a number of changes to our much loved course, Ebotse Links, to make your game that much more playable and enjoyable, regardless of your handicap. Playability – is the new buzzword. Previously some fairways were narrow and landing areas a bit tight. On Peter Matkovich’s recommendations, Hardus Maritz, our Golf Superintendent has opened it up to make it more user-friendly to all members and guests who come to roam our fairways. A lot of people think that the course is tough, so we are trying to open the course for the higher handicappers to enjoy their round of golf here. 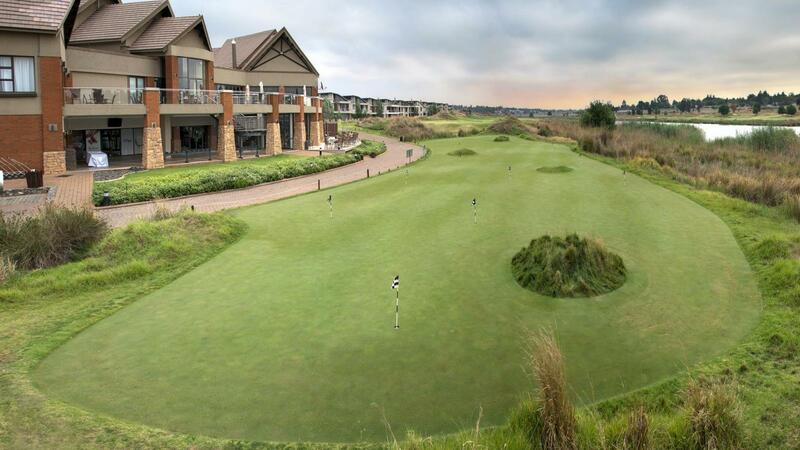 We don’t want to exclude any golfers from coming to play golf at the 32nd ranked golf course in South Africa. We want everyone to come and receive our “5 Star Experience”. Course condition – getting better and better every year. All of the plans that Hardus and his staff have put in place over the past years are starting to show wonderful results. The course is maturing and our greens are now some of the best in the country. We are not just saying this, this is what we are told by people visiting our course. Golf Reviews echo this too. Sunshine tour professionals that come and grace our greens, suggest they are the best surfaces in the country. Danie Van Tonder, Doug McGuigan, Grant Veenstra and Nicole Garcia are our Ambassadors that play professional golf. 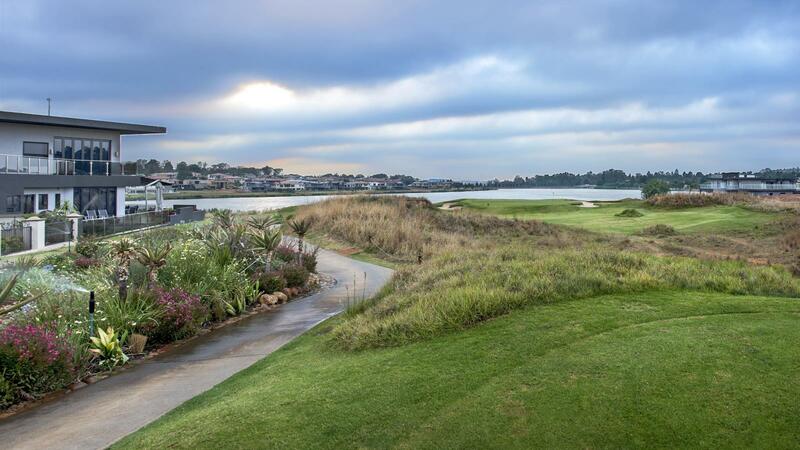 Approaching the course – Ebotse Links is most definitely a thinker’s course. You need to approach each hole with a plan while standing at the tee box on how they are going to play the hole. It is a challenging course. Wind may play a role too and on certain days you may just feel that you could be in Scotland. 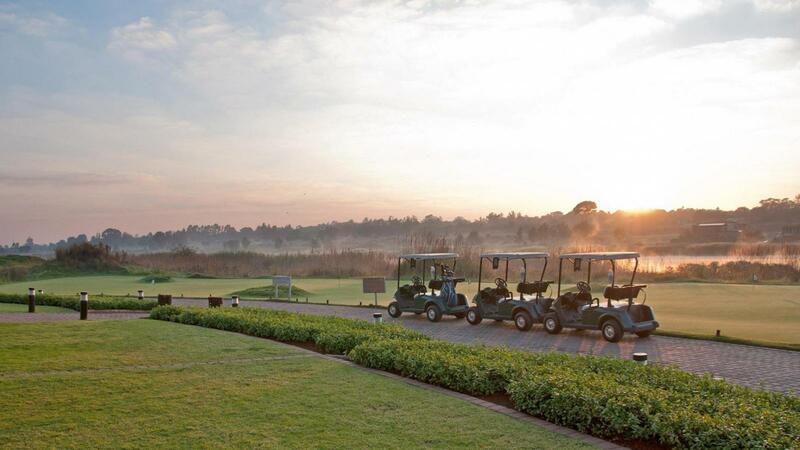 As you walk down the first hole you won’t even know that you are in Gauteng. Rolling green hills and water makes it such a special, beautiful and unique place – living up to what “Ebotse” means - A Beautiful Place. Toughest holes – yet memorable at Ebotse Links. Hole 14 is a Par 4, Stroke 6 – a hole that golfers regard as tough. You are often playing into the most common prevailing wind and the landing seems tight due to the view from the tee box, but once you out on the fairway you realize the landing area is rather wide. Also, anything can happen on our finishing holes - 15, 16, 17, and 18. You can compare it to playing a US Open course, where things can quickly change down the stretch, especially if you having a friendly competition between your playing partners. You can be in the lead and when you wipe your eyes after finishing Hole 18 things may have changed. It’s a great finish, a common feature of Peter Matkovich’s designs. The last four holes are simply superb. But the golf course and estate is something special and needs to be played. Why play at Ebotse? 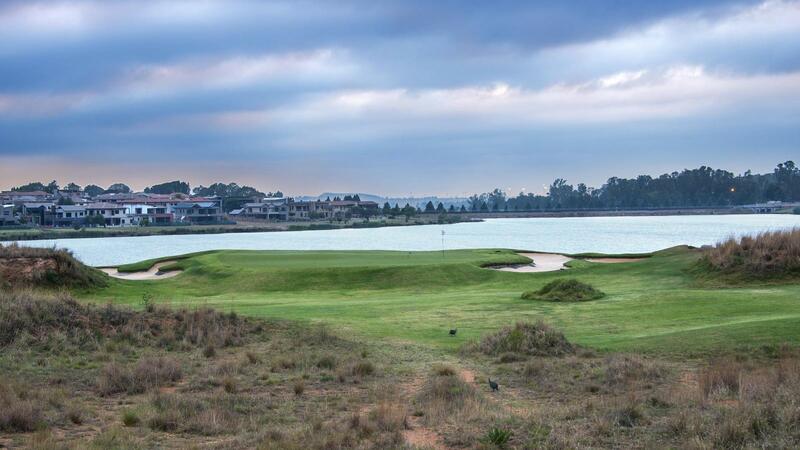 We are the only Inland Links course in South Africa. The greens and fairways are superb. It is quiet, peaceful and a wonderfully designed course. The compliments from players continue to pour in. A definite destination stop on any persons bucket list. Come join us at Ebotse Links, and Challenge Yourself.